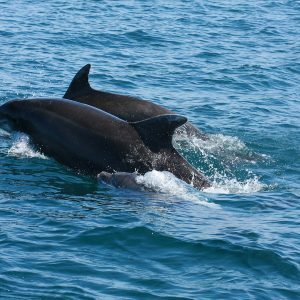 The dolphins in Cardigan Bay are so fabulous that not even the celebs can stay away! Caroline Quentin visited us whilst filming for BBC’s Caroline Quentin’s National Parks. 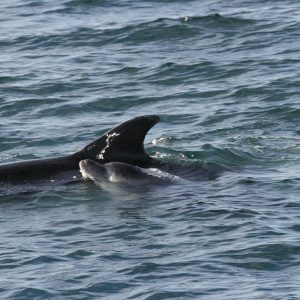 She loved it so much she adopted one of our gorgeous bottlenose dolphins. 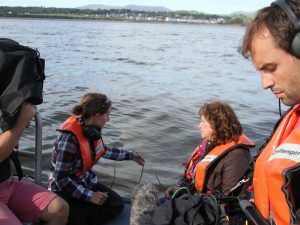 Another visit from a BBC presenter, this time Miranda Krestovnikoff arrived with her crew from BBC’s Coast. As you can see, the dolphins did not disappoint that day! 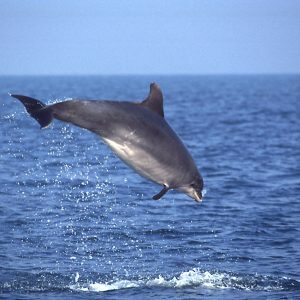 Welsh born World Champion Kite Surfer Kirsty Jones supports Adopt a Dolphin. 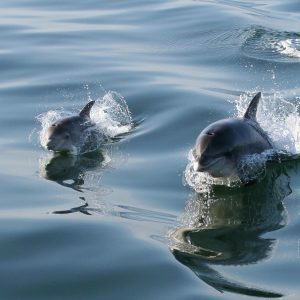 She is in the enviable position of being able to get very close to marine creatures, including dolphins, which is why Kirsty supports us as well as other marine charities. 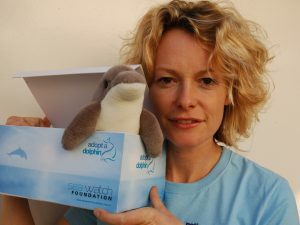 BBC’s Kate Humble has been with Adopt a Dolphin since day one! 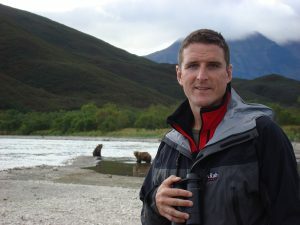 BBC’s lolo Williams has been involved in our work for a long while. 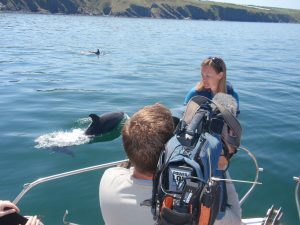 Being based in Wales, we’ve been able to film with him and show him the delights of Cardigan Bay! CBBC’s Presenter Rani Price has also supported AAD for many years. 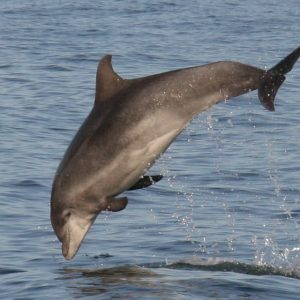 Many of our early newsletters featured Rani who loves the dolphins of Cardigan Bay! 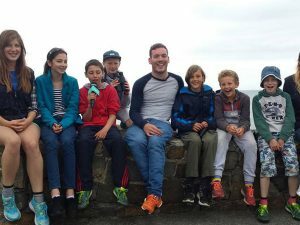 CBBC’s Newsround Presenter Martin Dougan with 2nd Pen Parcau Scouts came for a visit more recently, all of whom thoroughly enjoyed their time hanging out on the quay watching the dolphins. 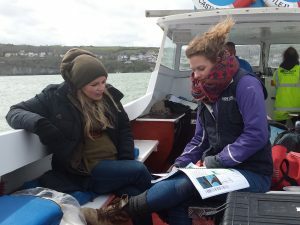 Countryfile’s Ellie Harrison joined us aboard one of our survey vessels, and talked with our Monitoring Officer Katrin Lohrengel about Photo ID, and why and how we monitor our Finned Friends. 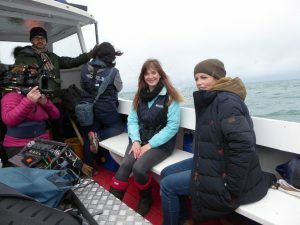 Countryfile with our Sightings Officer, Kathy James who told Ellie all about our annual National Whale & Dolphin Watch event, and why it’s so important that we run this every year.